This multi-purpose target has tons of built-in features. 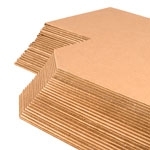 First, it's a repair center to make your cardboard IPSC and IDPA targets last longer. 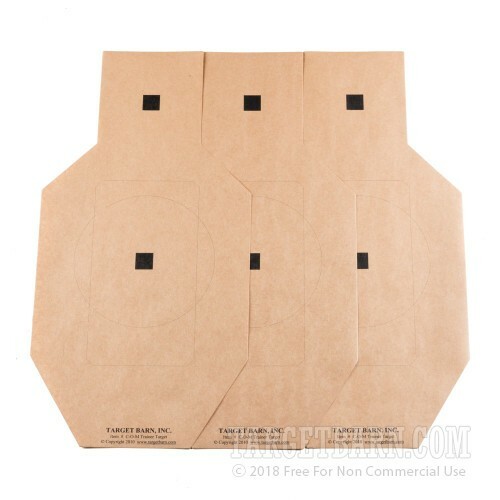 Simply position the paper repair center over the shot up cardboard target and secure it with tan target pasters or patching tape. It's like having a brand new target! Second, this item can serve as a reduced size practice target, approx. 75% of full size. 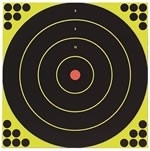 Tape it to a white cardboard backer, and see how easy it is to put your shots in the Center of Mass! Finally, this target has two black one inch squares, one in the center of the head, and one in the center of the chest. The squares are exactly 1", and are great help when sighting in a rifle at 100 yards. This target/repair center is a reduced-size silhouette, approximately 12 inches wide by 24 inches high, printed on kraft brown target paper. It has thin printed scoring lines to designate the Alpha, Bravo, Charlie USPSA official scoring zones, and the Down Zero and Down One IDPA zones. 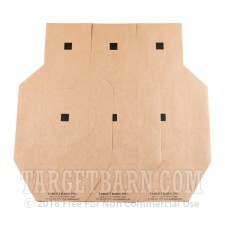 The targets also have two black one inch squares centered in the head and chest. 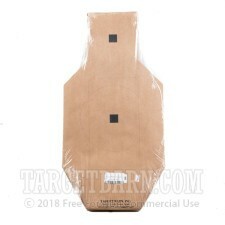 Because these targets are kraft brown color, the Tan Pasters are the correct paster to cover the bullet holes in these targets. This product is outstanding but they should have made it so that the IDPA repair center was on one side and the USPSA repair center was on the other side instead of putting both of them together on one side. It should be an easy fix and would be an even more outstanding product if this was done. I've been using these centers for a couple of years now and love them! 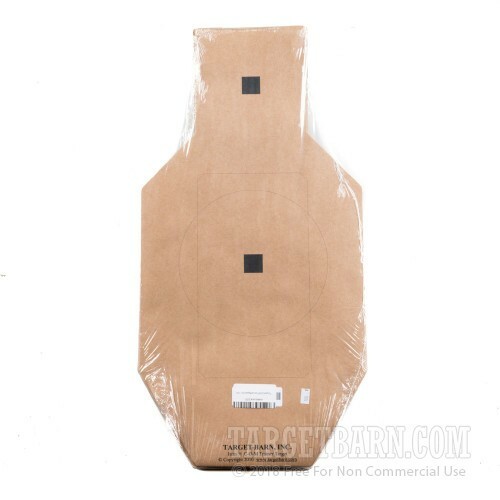 They greatly extend the life of my targets and are convenient in that they have both scoring areas for IDPA and USPSA. I get 3 or 4 friends in on the order to save on shipping. Gives old targets another life, good for practice. If IPSC outline was on one side and IDPA outline was on the other side it would be better than having both on same side. 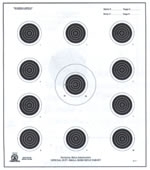 The targets are great, use them for IDPA practice, but I use them reversed so I can not see the out lines or the black squares as they give you an aiming point which standard IDPA targets do not have. 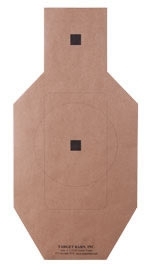 I actually don't use the "repair centers" to repair my cardboard targets, but as the primary practice targets for my indoor range practice. They're accurate replacements and obviously cheaper and easier to use! Attached the repair centers with hot glue, fast and reliable repair! Went that one is shot up. glue another on top.